The call to holiness is easy to ignore in a world which lives by much different standards. Satan gets us to compare our lifestyle with those around us, deluding us into devaluing our sins in comparison to others. But the issue is not comparison shopping our sin; the issue is a thankful heart that has been cleansed by the Holy Spirit and saved by grace. 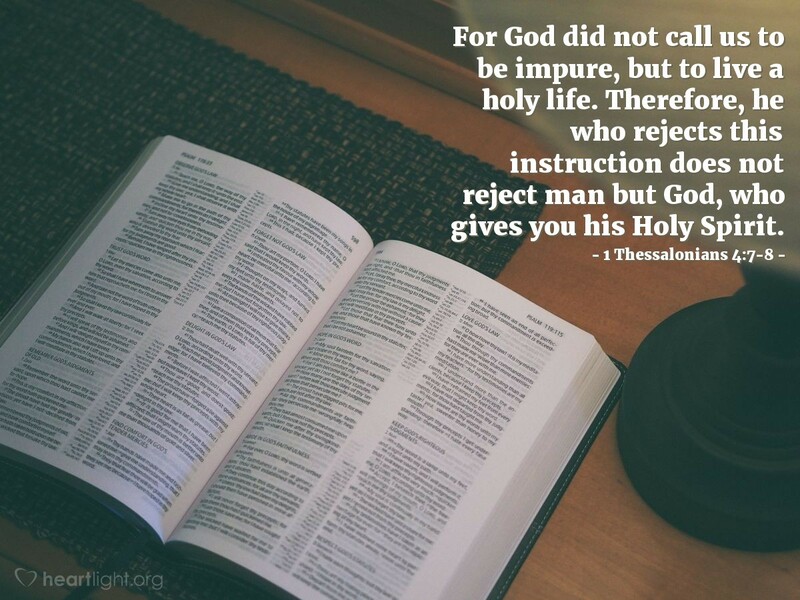 Ignoring, or toning down, the Spirit's call for holiness is rejecting God. Let's be passionate about holiness in our lives, both because it is what God wants and also because it is what we should seek. Father, forgive me for trying to water down the significance of my sin. Use your Spirit to kindle in me a passion for holiness and please empower me to live in a way which honors you for all that you have done to save me. In Jesus' name I pray. Amen.